Despite the name that is misleading, the famous Panama hats or fedora are original from Ecuador and is an icon of the country. This means that the hats are actually made in Ecuador (Chordeleg and Sigsig, near Cuenca in Azuay and in Montecristi in Manabi) and then exported and sold worldwide. This is a technique passed along generations. The history of this hats dates back to Pre-columbian times according to evidence. This light straw material ideal for sun protection was used to make the hats. Moreover, according to legend the toquilla straw hat was exported to Panama when the canal was on construction and from that time forward they started being called “Panama hats”. Straw hats are made with Carludovica palmata, a plant native of Ecuador. First of all, artisans collect the raw material(carludovica palmata). It is mainly found in the Coastal region of the country. Then artisans cut the stems, divide and clean the material. After this, they boil the threads. Finally, is to let the threads dry. The weaving process takes around one week for each hat. This time depends on the thickness desired and quality of the hat. That is, the thinner the better the quality. 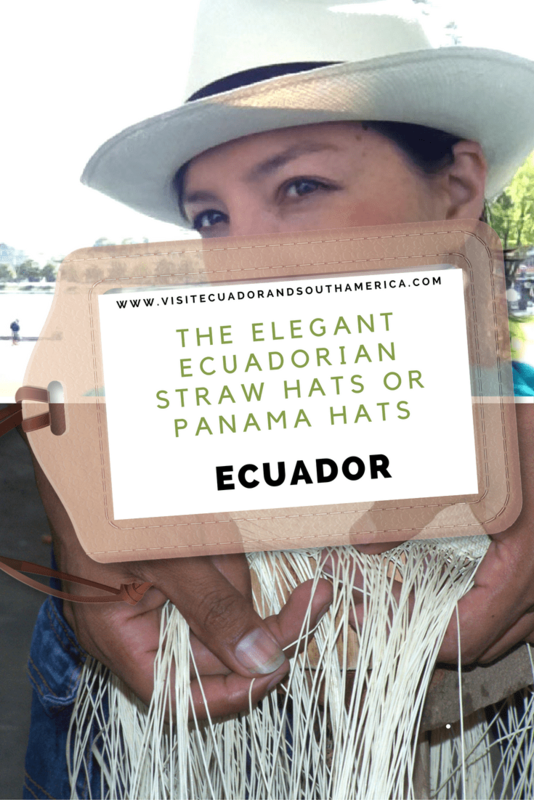 So, if you are in Cuenca, you can visit some of the straw hat or panama hat factories and get an elegant souvenir from Ecuador! The hat design that I personally recommend is Homero Ortega. The company produces and has over 40 years of experience exporting to 32 countries on five continents. Moreover, during your visit, you will see the manufacturing process. 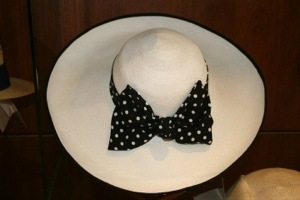 Additionally, you will be able to buy a genunine panama hat including a certificate of authenticity. The Genuine HAVANA Retro Panama Straw Hat Classic Ultrafino. The “True” Panama Hat Handwoven in Ecuador, Fedora Style, Natural or White Color, Grade 2, Manufactured Since 1975. Furthermore, one of the best places to retire in the world is Cuenca. So, if you are planning on retiring consider this colonial charming city in beautiful South America. Besides, to get more information about the city I recommend that you read Cuenca: 101 Questions Answered. 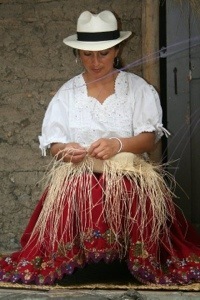 When in Ecuador, make sure to get a beautiful handwoven straw hat, it is not only an icon of Ecuador, but also its technique an Intangible Cultural Heritage of Humanity. This past summer I assisted a company, Run by Rural (http://www.runbyrural.com) with a group of artisans they work with in La Campina, Catacaos, Peru to bring the artisan’s traditional work with paja toquilla to the world marketplace. The artisans are truly talented and made beautiful hats, panama included. I also visit the Paja Toquilla Museum in Cuenca, Ecuador and had a great time seeing all of the different styles of hats. It’s a great style accessory and souvenir! Love to read that you have been to Cuenca and witnessed the talent and craft behind the ecuadorian straw hats “Panama Hats”. It is indeed a great style accessory and souvenir!